It’s Friday! Yeah. I don’t know why I get so excited about Fridays. I’m unemployed, Mondays are no longer dreadful (at least for now). Fridays are just fun. My employed friends and family are excited for the weekend and that sometimes means free time we can spend together. 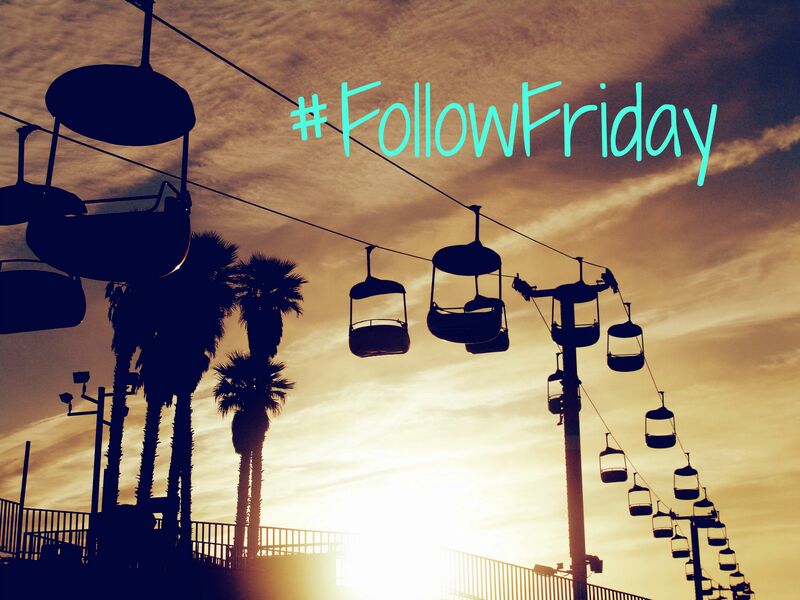 And, I get to write and post one of my favorite features – Follow Friday. I know I don’t have to wait until Fridays to write the post or even post it for that matter because WordPress does have a scheduling feature. My goal is always to write and schedule this feature on Wednesdays but like that never happens. It’s a good goal and I will keep trying. At least this week I found the blogs I want to feature on Wednesday and woke up today knowing which blogs I wanted to write about. That is progress and I will take it. Enough procrastinating … as the title to this blog post suggests the blogs featured in today’s post were discovered by pulling up the Racism in America feed in my trusty WordPress reader. It was there that I found Back to Black, which led me to Tape Parade. So let’s start with Back to Black. This is a new blog written by Shynelle and the posts are as she intends thought-provoking. I was pulled in by her posts Discussion on St. Louis, Missouri and Let’s have a discussion: Racism from a White Perspective. After reading a few posts, it is obvious to me that this blogger is trying to start discussions on race and racism in America. I think back to the speech President Obama made after George Zimmerman was acquitted for murdering Trayvon Martin and how very few at all responded to the POTUS’s call for a national discussion on racism. Let’s face it that sort of conversation makes most Americans uncomfortable. While reading Back to Black, I applaud Shynelle for starting what can be viewed by some as difficult conversations. I’m looking forward to more posts from Back to Black and encourage you to visit and support a new blog by joining in on the conversation. As I previously mentioned reading the blog Back to Black led me to Tape Parade. The post What It’s Like Not Being White by Laila of Tape Parade was re-blogged on Back to Black. The post, which is beautifully written angers me, saddens me and confounds me. I am angered and confounded by how many inane comments she receives on a daily basis and that she and others must deal with such micro-aggressions. I don’t get it. If I passed her on the street, I wouldn’t comment on her ethnicity. I might say “Great shoes, where did you buy them?” Honestly, I wouldn’t be phased by her ethnicity. I’m not naïve; I know others would. Her story reminds me of a woman who temped as my administrative assistant at a former job. Julie was of mixed race and our boss would make comments like “I can’t figure you out. Where are you from?” Julie knowing full well what our boss was getting at would reply “Pennsylvania.” Julie would then tell me how she wasn’t going to give our boss the satisfaction of responding with what she was digging for and that she was after all born in Pennsylvania. It also saddens me that people have tried to make Laila feel as though she is less than because she is not purely white with comments like “you are pretty despite being brown” or “you are beautiful in an exotic way.” Really? Is that necessary? Did it ever occur to anyone to say “you are pretty” or “you are beautiful” period, end of sentence. Enough said; read Laila’s post What It’s Like Not Being White and her follow-up post A Response: What It’s Like Not Being White and draw your own conclusions. Laila blogs most about her travels and adventures both which can be found on her category pages. Laila and Tape Parade can be found on social media on Twitter, Facebook and Blog’s Facebook page. Image courtesy of gratisography and edited with PicMonkey. You’re welcome. I really enjoyed your posts. I totally understand the delayed response, which by the way isn’t all that delayed. I’ve had bloggers not notice for six months or longer. I imagine the comments on that post keep you very busy. The Girl Next Door is Black.